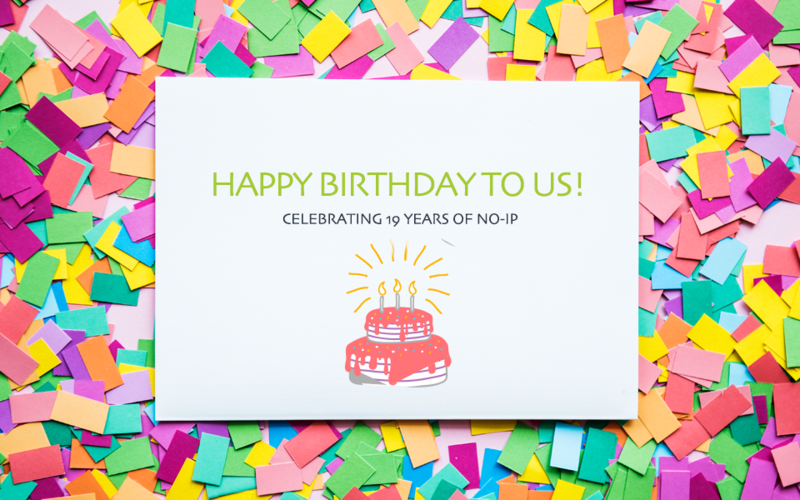 This month, we are celebrating 19 years of No-IP! 19 years ago the No-IP domain was registered and we officially became a company. We are so thankful for all our customers who have helped us get to where we are today. We couldn’t do it without all of you! Thank you so much for 19 years and cheers to 19 more! In honor of our 19th birthday, we are giving away a year of Enhanced Dynamic DNS to 19 customers. Enter below for your chance to win! Giveaway ends Wednesday, Oct 31, 2018.